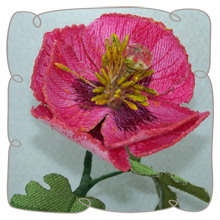 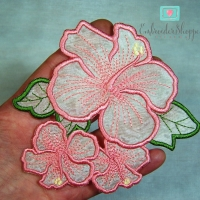 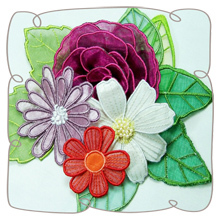 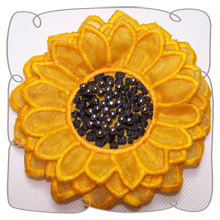 What you see here is 3D applique! 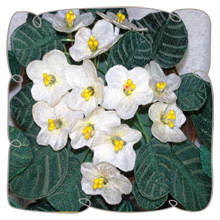 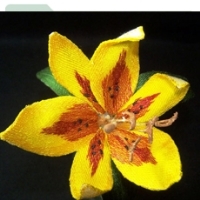 This is exactly what our 3D Organza and Poly Cotton flowers are. 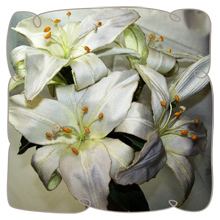 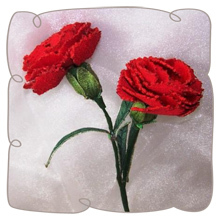 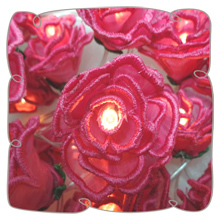 We combine poly cotton and organza to make the most beautiful flowers which looks like the real thing. 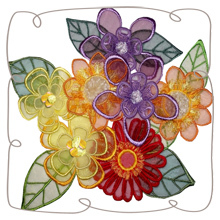 The solvy between the two layers gives the ability to shape the flowers and fixates the petals and leaves in a natural way.